On November 13, 2018, ITM hosted a screening of Samson Styles’ documentary Killing Beef. After a near fatal shooting, Styles makes the attempt to find life’s meaning, as well as, navigate the process of reconciliation with the shooter. 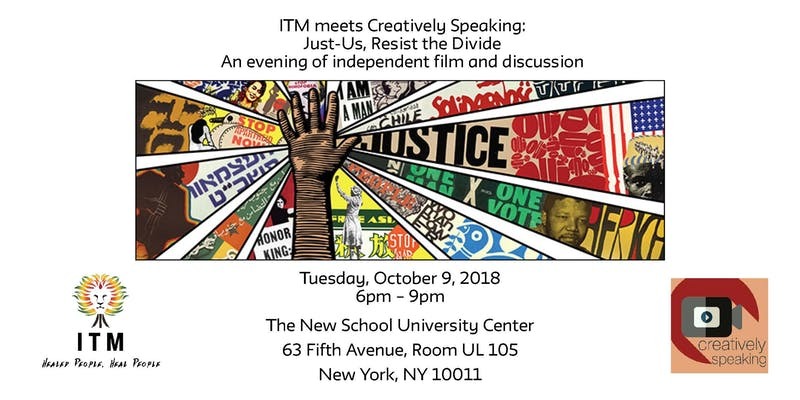 On October 9, 2018, ITM partnered with Creatively Speaking for a screening of independent short films and a discussion of social justice. The film lineup included Every Mother’s Son, directed by Tami Gold, is a story of three women who lost their sons to police brutality and now advocate for change. 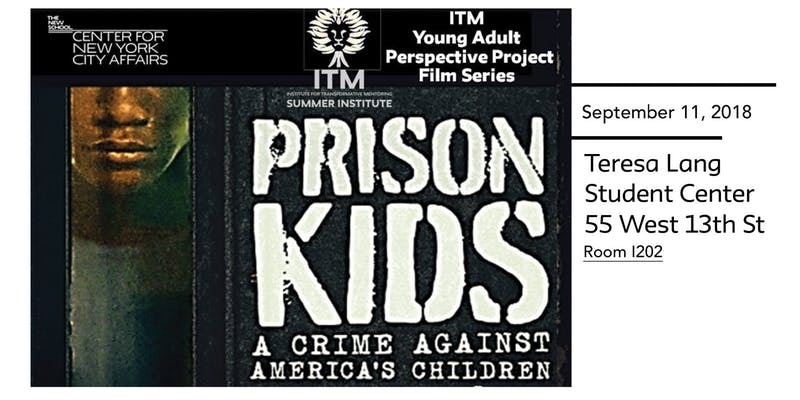 On September 11, 2018, ITM hosted a screening of Prison Kids: A Crime Against America’s Children. Prison Kids is a documentary that examines the juvenile justice system in America. Fact: Youth incarceration rates are higher in the United States than in any other developed country. On August 1, 2018, ITM Hosted a screening of Marvel's Black Panther. The screening was followed by a conversation about villains and how "Hurt People, Hurt People". Former Black Panther Party members joined the ITM youth in discussing the different layers of heros and villans. On July 25, 2018, ITM hosted a screening of Palante Siempre Palante is a documentary which tells the story of the Young Lords organization, which rose out of the 1960's struggle for economic and social justice for Puerto Ricans in the United States. A conversation followed the screening. ITM youth learned from former Young Lords and Black Panther party members. On April 10, 2018, ITM hosted a screening of BEYOND CONVICTION, a documentary which offers an eye-opening look into a process that could have far-reaching repercussions for the ways we approach crime, criminal justice and conflict resolution. On March 7, 2018, ITM hosted a screening of Life & Debt, a documentary which addresses the impact of the International Monetary Fund, the World Bank, the Inter-American Development Bank and current globalization policies on a developing country such as Jamaica. After the screening a discussion took place with Preksha Krishna Kumar, researcher and data analyst at the International Accountability Project, an international advocacy organization. Palante Siempre Palante is a documentary which tells the story of the Young Lords organization, which rose out of the 1960's struggle for economic and social justice for Puerto Ricans in the United States. On November 14th, 2017, ITM hosted the screening of “Know How” in partnership with the Possibility Project. The Possibility Project brings together vastly diverse groups of teenagers who meet 6-7 hours weekly for nine months. They engage in a social/emotional learning (SEL) experience focused on social justice that uses the performing arts to examine and address the personal and social forces that shape their lives and identities. Through the creative process, they work together to write and perform an original musical from the stories of their lives and their ideas for change, creating a theatrical road map for change. This film was created by adapting the original play written and performed by the youth in the program. Following the screening, two of the writer/actors of the film joined us for a discussion about the film and the state of the foster care system in New York. This documentary, based on the book, "The Corporation: The Pathological Pursuit of Profit and Power" by Joel Bakan, critically examines the historical formation and expansion of corporations, propelled by constitutional rights and laws not afforded to individual citizens. The film was followed by an engaging discussion with ITM members and the audience. 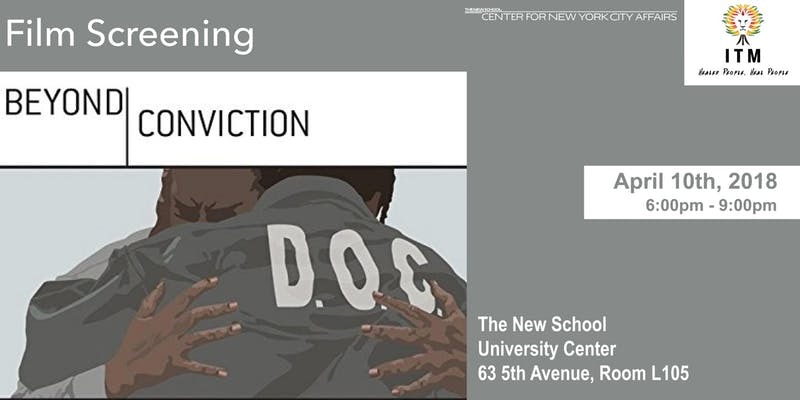 The Institute for Transformative Mentoring (ITM) at the Center for New York City Affairs, in partnership with Humanities Action Lab and Public Square Media, hosted a screening of RIKERS: AN AMERICAN JAIL. The New York City Mayor and City Council recently endorsed a plan to close Rikers. Join us to explore what Rikers means for the more than 7,500 people detained at Rikers Island on any given day. RIKERS: AN AMERICAN JAIL, a riveting new documentary from Bill Moyers, brings you face to face with men and women who have endured incarceration at Rikers Island. The film was followed by a discussion with participants in the film and other men and women who have experienced Rikers. They talked about the urgency of closing Rikers and the many changes required to ensure the jail and the systemic cruelty it represents truly end. Discussion was moderated by Glenn E. Martin, Founder and former President of JustLeadershipUSA (JLUSA) and former member of The Independent Commission on New York City Criminal Justice and Incarceration Reform. On March 9th, 2017 ITM held a launch party. This event was ITM’s coming-out party. It was our chance to show the leaders in the field, what our program entailed. It included an opportunity for leaders in the field to network and culminated in a panel discussion about the Credible messenger movement and the role ITM can play in it. The panel was moderated by Rick Smith, the President of the Pinkerton Foundation. Before there was Steve Bannon, there was Lee Atwater. The documentary, "Boogie Man: The Lee Atwater Story" dives into the creation of the lazy welfare queen trope, the tough on crime movement which was critical to mass criminalization of black men, and how mass criminalization lead to mass incarceration.